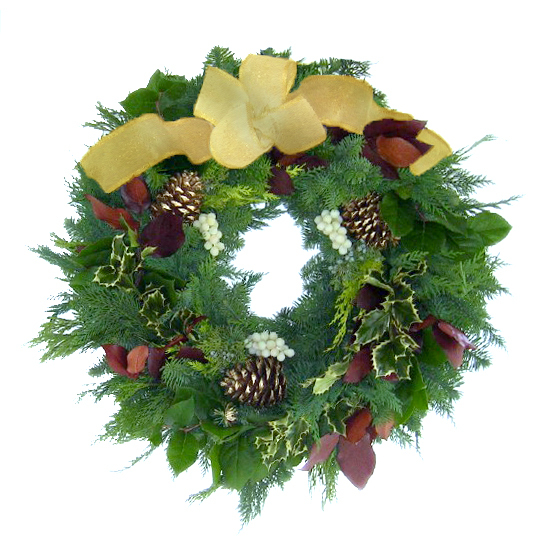 As opulent & luxuriant as a glass of golden Chardonnay… Faux Chardonnay grapes, preserved copper salal, variegated holly sprigs & blue-berried juniper graced with golden pine cones on a sumptuous base of aromatic Noble Fir & Western Red Cedar, crowned by a sheer frosted gold, wire-edged bow. 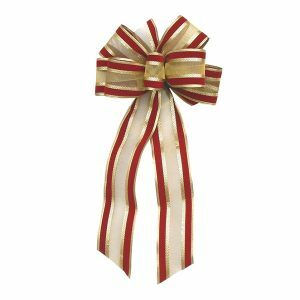 Bow shipped unattached to prevent flattening during shipping. 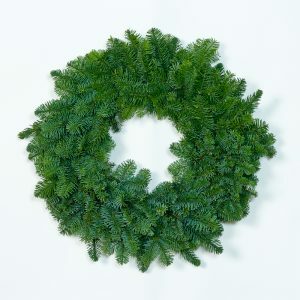 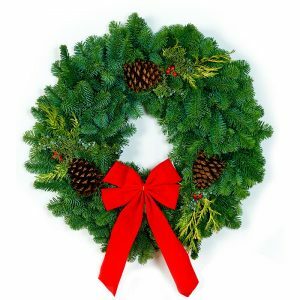 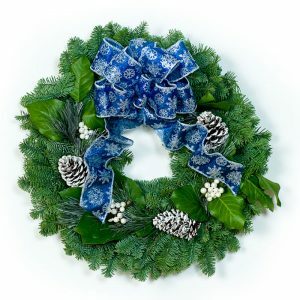 22″ Diameter Wreath with Bow. 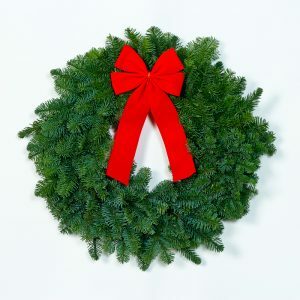 SEASONAL: Ships November 15th to December 20th only.